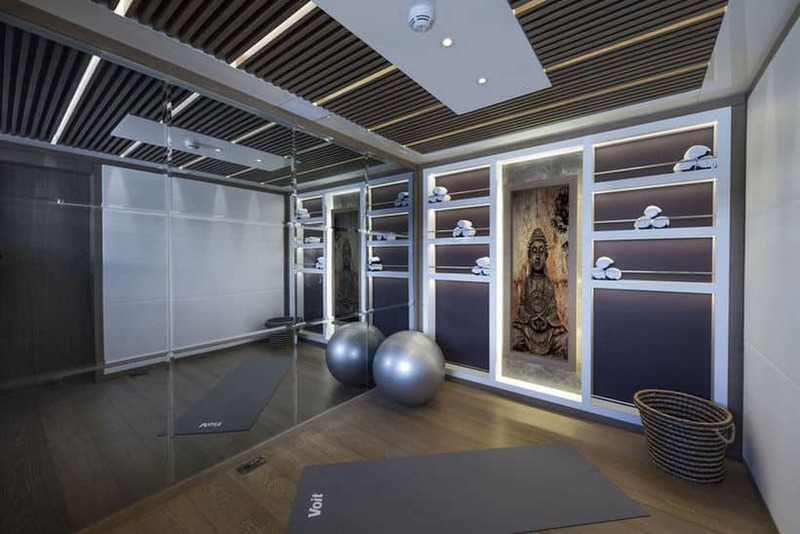 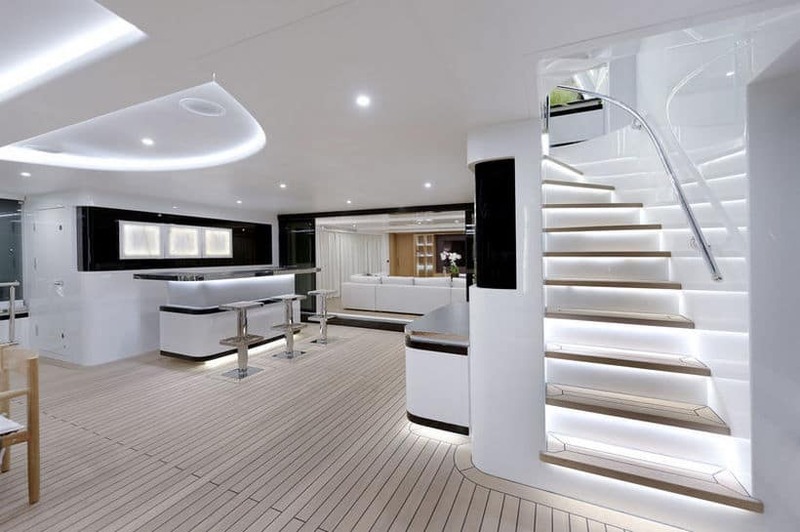 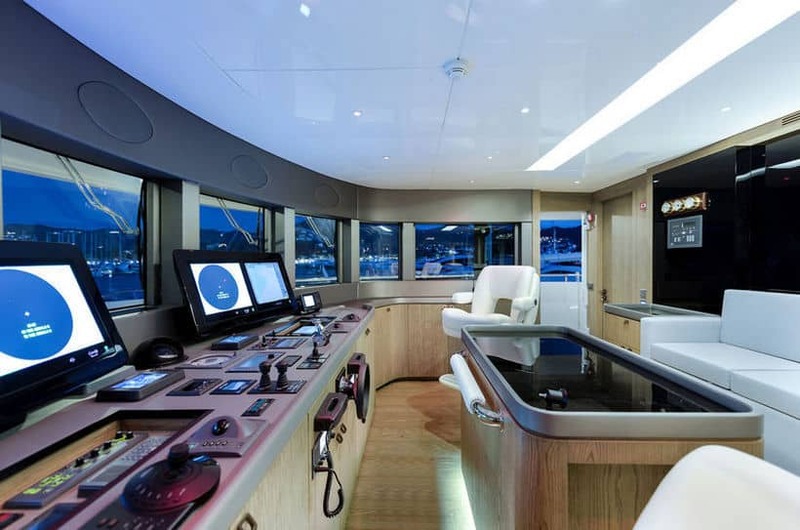 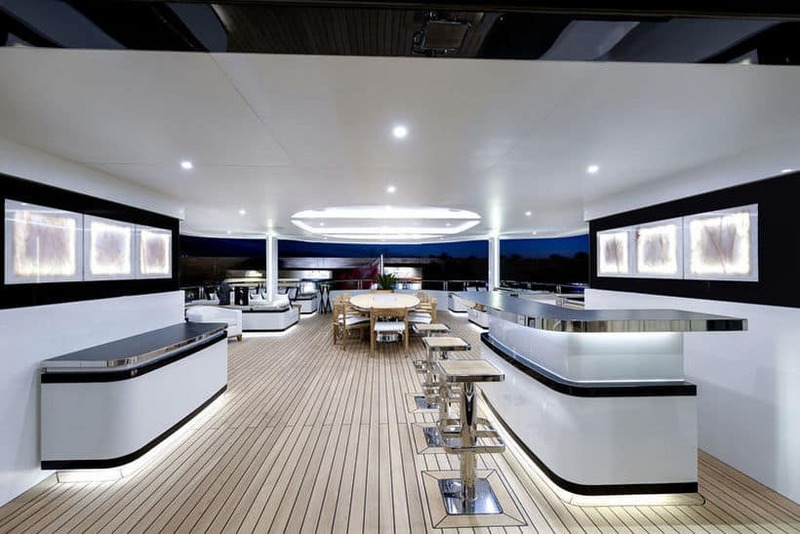 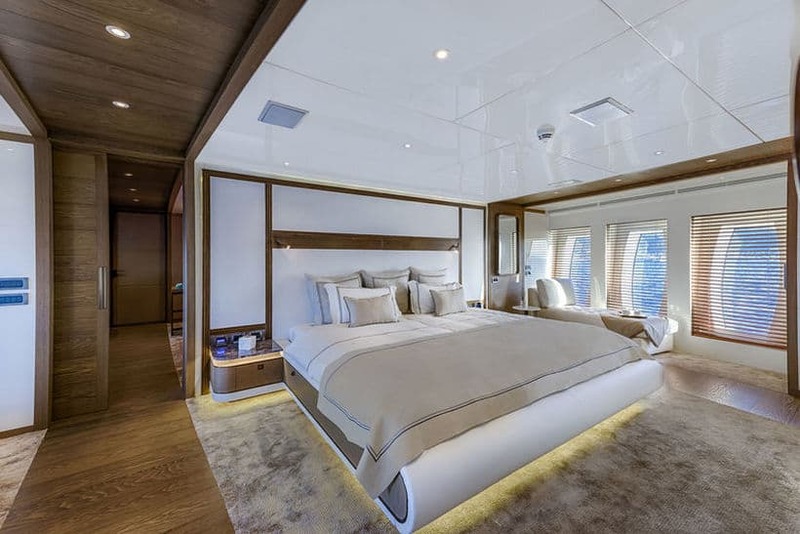 At first blush, you wouldn’t think Turkey would be a hotbed of yacht building activity, but the reality is it makes all sorts of sense for companies like CMB Yachts to call the country home. 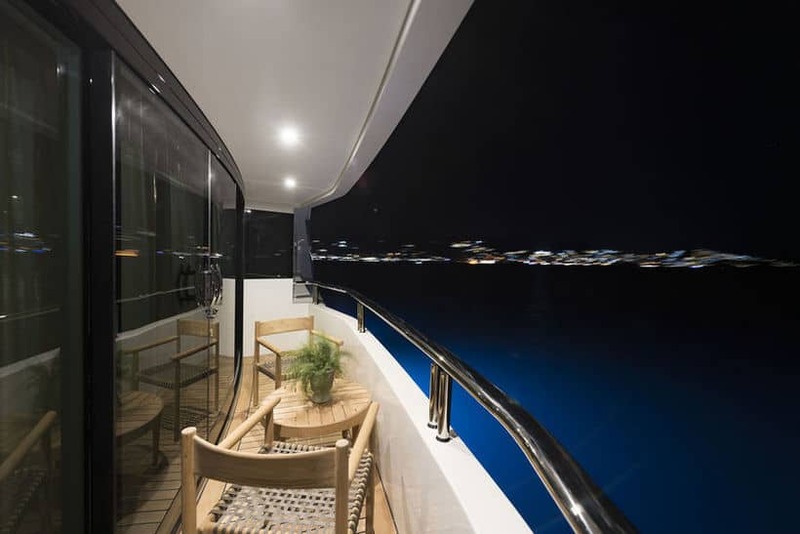 After all, it’s a nation that spans two continents, is pretty much halfway between southern Europe and the Middle East, and has easy access to both the Aegean and Black seas. 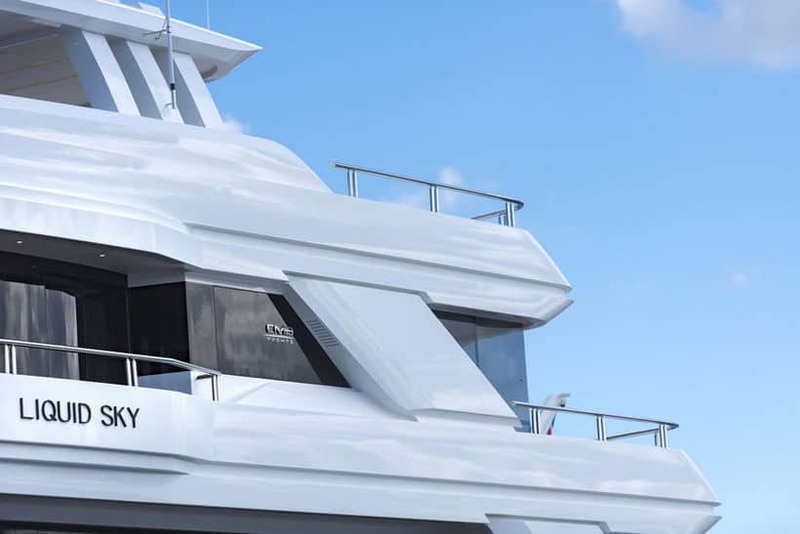 Of course, the latest boat to emerge from the CMB works, Liquid Sky, is sure to have worldwide appeal. 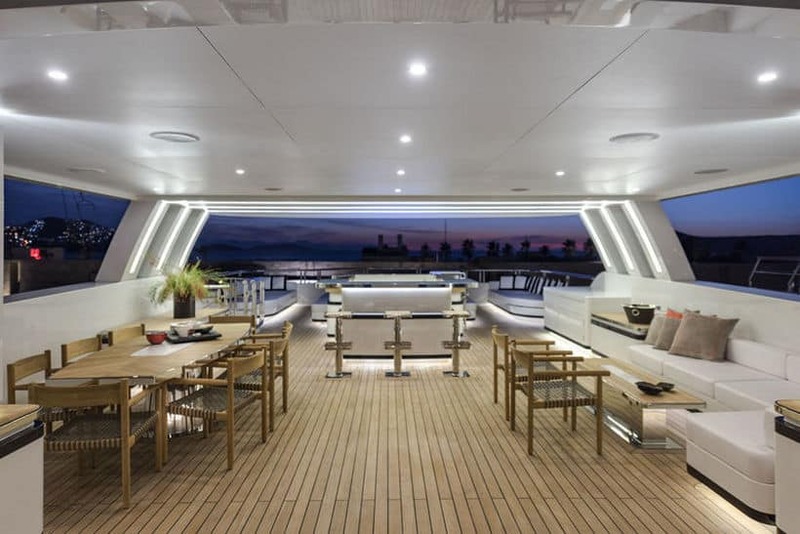 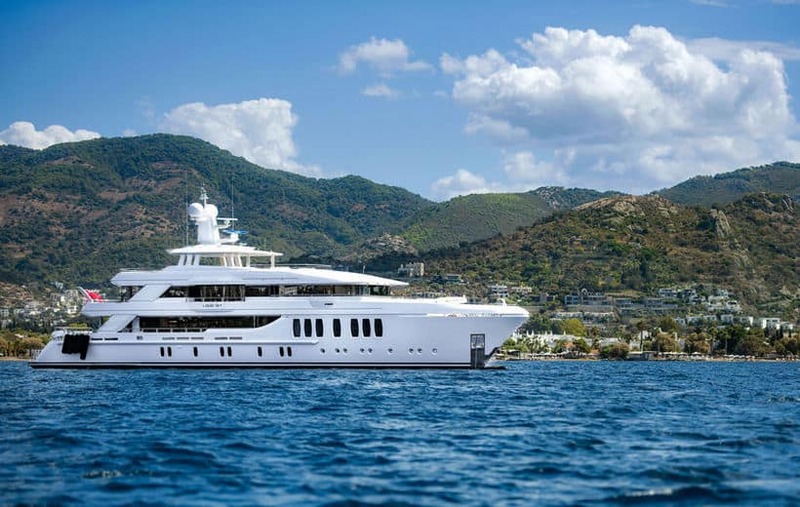 Measuring 47 meters (or 154.2 feet) from bow to stern, this dynamic looking dreamboat is the brainchild of famed luxury yacht designer Espen Oeino. 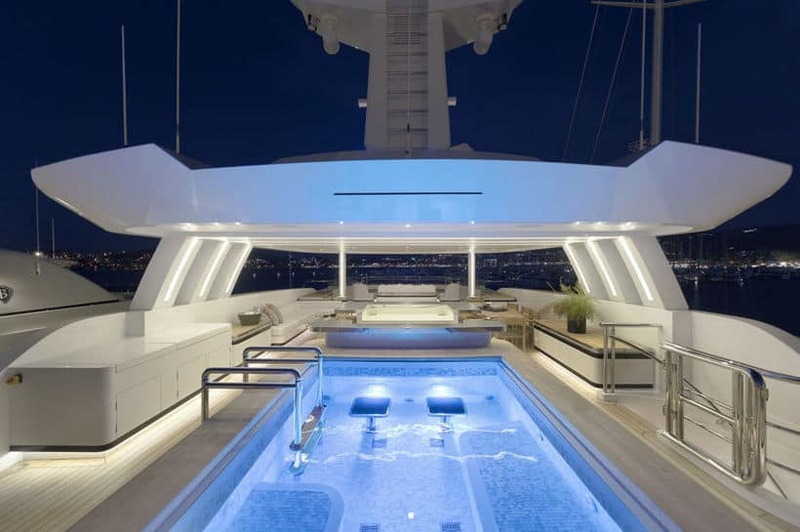 The sun deck is awash in LED mood lighting after dark, as well as a huge hot tub with its own waterfall. 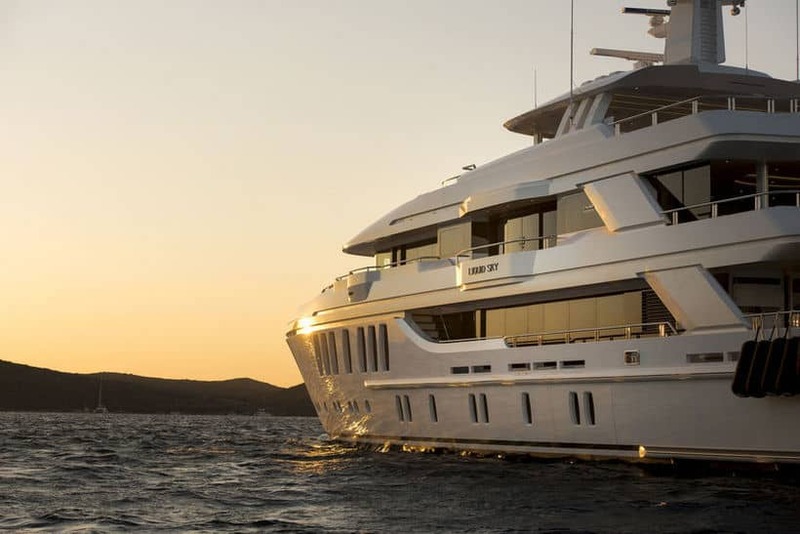 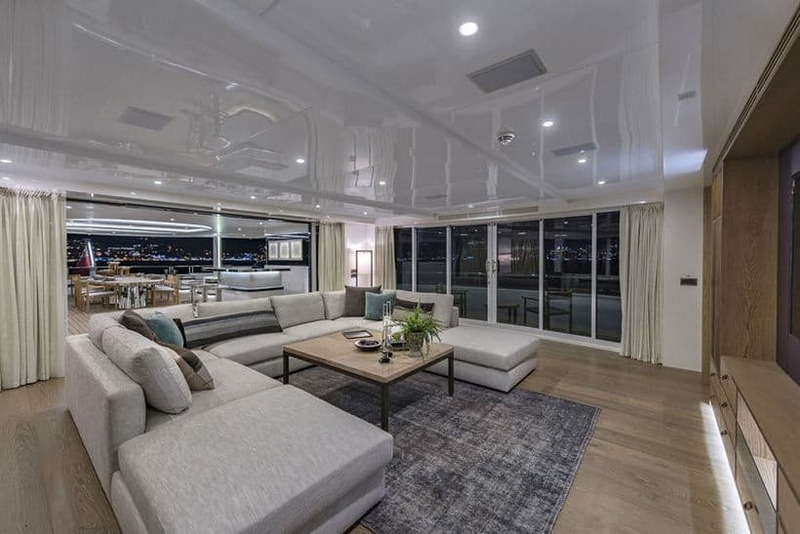 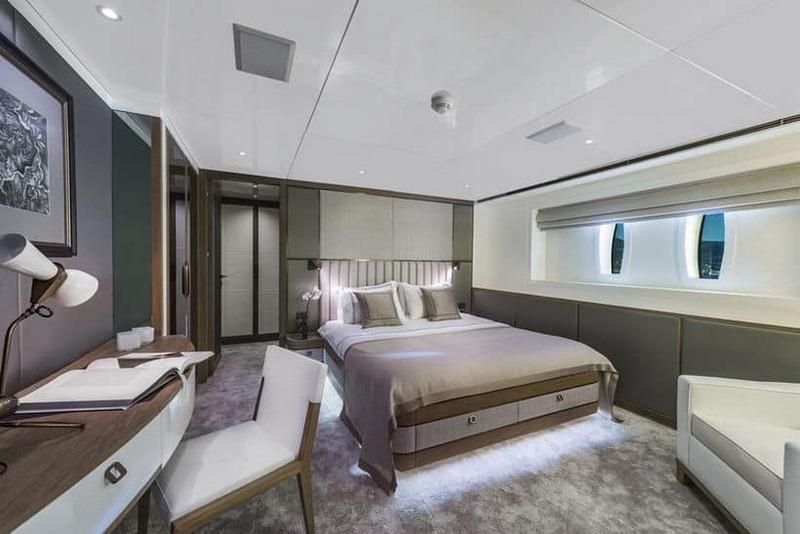 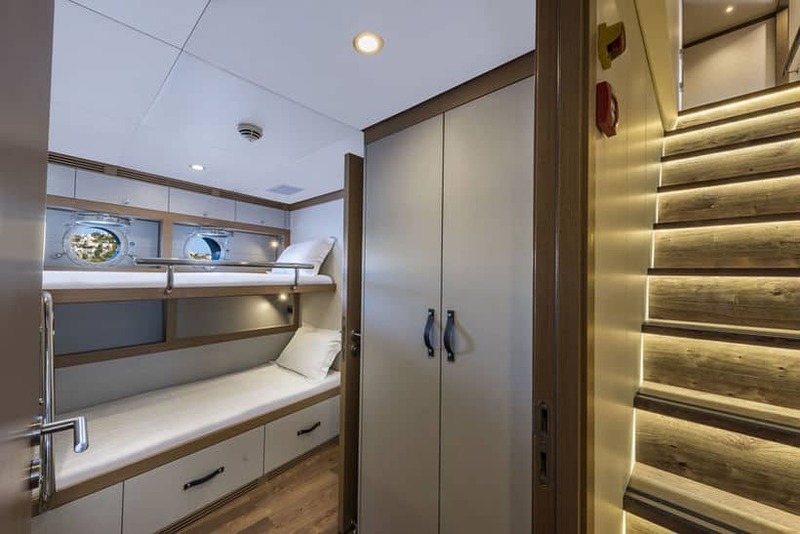 Inside, you’ll find a palatial owner’s suite and four additional cabins (each with their own color scheme) providing accommodations for 10 guests in total. 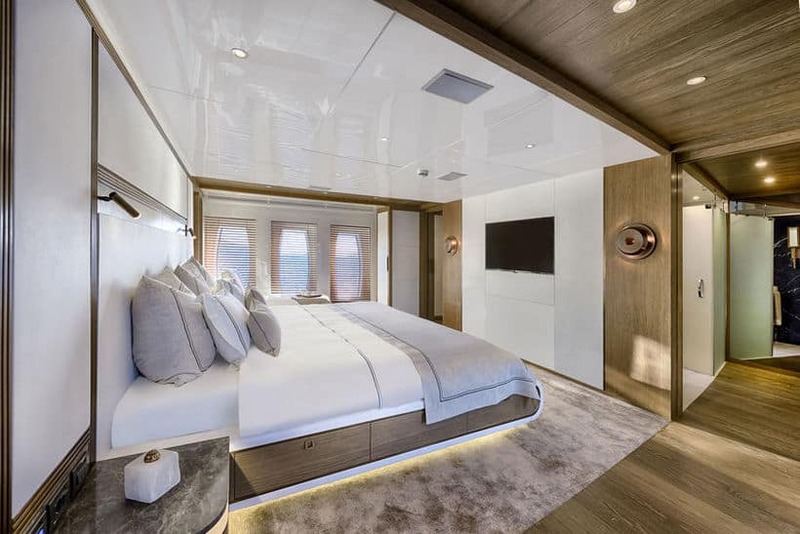 Those 10 guests will be able to cross the water at speeds of up to 15 knots, or cruise at a leisurely 10 knots, both thanks to the twin CAT C32 engines pushing out 1,450 horsepower each.